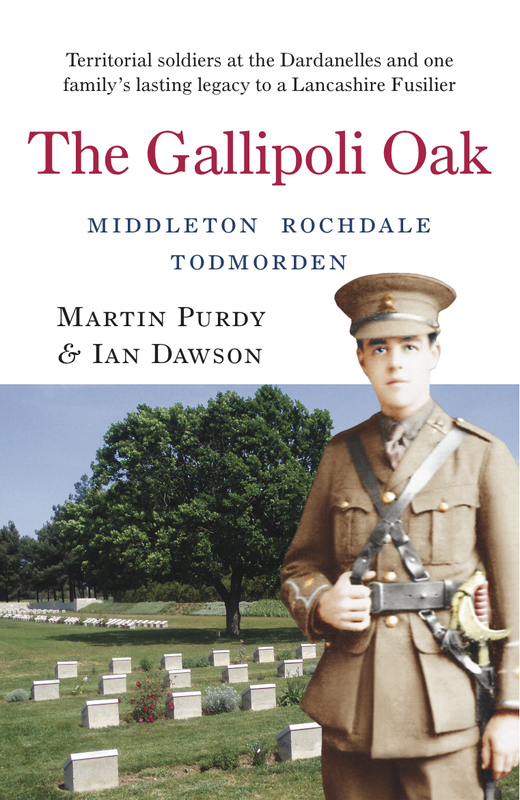 Moonraker was set up in 2006 as a small publishing house aimed at producing and promoting historical literature about Lancashire and the First World War. To date, we have published three books alongside a vast amount of articles for magazines, newspapers and radio stations. We are not in the habit of looking at unsolicited material, but if you have something relevant that we can help you with, even if it is only to provide advice, then please feel free to contact us at the address below. Sadly, we rarely have the time to carry out personal research, but we do occasionally give talks and plan bespoke battlefield tours for individuals, families or small groups. Please see the relevant page links (above) for further information about ourselves, battlefield tours and to view our regularly updated blog featuring photographs and material that didn’t make it into our books. In March 1922 a Lancashire businessman stepped from a cruise ship onto the shore of the Turkish outpost known as Gallipoli. He was accompanied by a host of other pilgrims, but what made James Duckworth stand out was the fact that he was carrying a bucket of water containing the sapling of an oak tree. More than 90 years later this lone English oak continues to grow amid the dry barren scrub, gorse and olive groves that once played host to one of the most controversial military campaigns of the Great War. 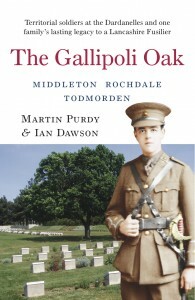 Featuring previously unpublished material and photographs from the people who were there, The Gallipoli Oak tells the incredible story of the Lancashire oak tree, the teenager (Second Lieutenant Eric Duckworth) whose loss inspired a family to plant it, and the amateur soldiers from East Lancashire whose sacrifice it now helps to keep alive – soldiers who were to make history as members of the first ever Territorial Army formation to volunteer for overseas’ service. From the Western Front to East Africa, from the North Sea to the Balkans and Mesopotamia, the men of one small Lancashire cotton town were striving to ‘do their bit’ during the First World War. Doing Our Bit tells the story of the war that was meant to end all wars through the individual diaries, memoirs and letters of combatants and eyewitnesses from Middleton in north Manchester. The powerful, harrowing and sometimes humorous recollections that provide the backbone of the book are interwoven into the chronological story of the Great War. 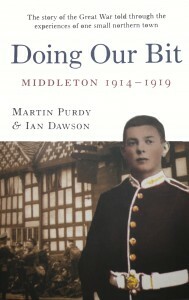 As well as dealing with the horrors of industrialised warfare, the book provides a fascinating insight into life and attitudes on the home-front in the early part of the 20th Century.